It’s time for a brand new edition of weekend finds, but in lieu of the usual picks it’s an exclusive invite to the hottest weekend event! 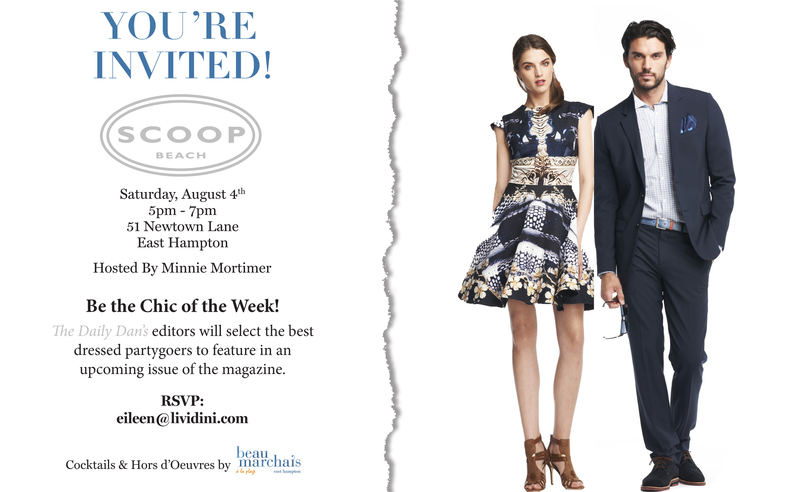 Join me at Scoop in East Hampton tonight, at an event hosted by Minnie Mortimer. You’ll have a chance to be the chic of the week so make sure to dress for success, xo.